Winter persists. Spirits falter. Red wine is a necessity to strengthen the soul. Why not a red wine from a warmer climate to ease the pain of the never-ending winter? In Argentina it’s been in the 80s during the day. Tonight I think it is going to be 9 at my house. 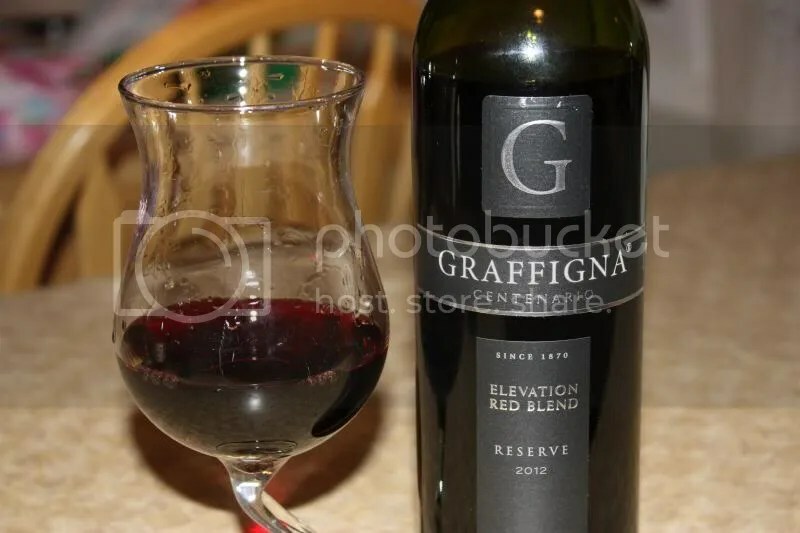 With needing a warming red in mind, I plucked the 2012 Graffigna Reserve Elevation Red Blend from its comfy resting spot in my basement. 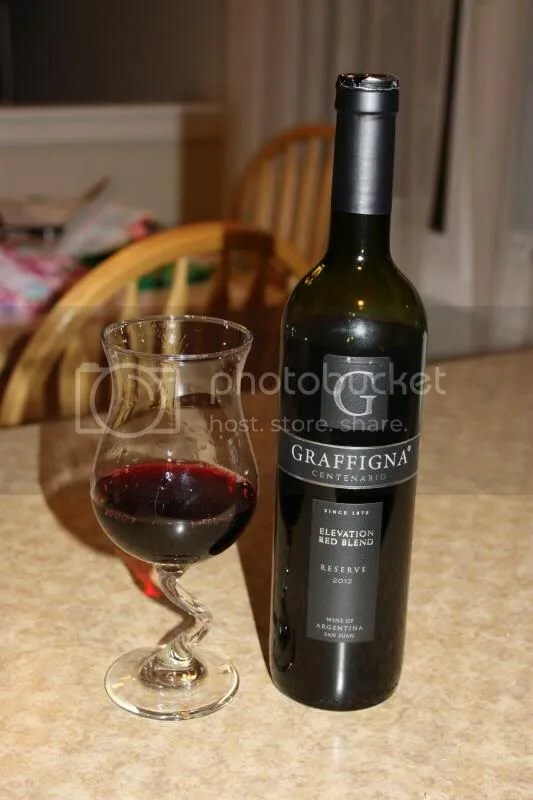 The wine has a Diam closure and retails for around $10-$12. It’s a blend of 20% Bonarda, 20% Cabernet Saugivnon, 20% Malbec, 20% Syrah, and 20% Tannat. 1.) While it warmed us on a winter night, I really wanted it with some grilled meat. 2.) The Syrah really dominated the nose of the wine for me. 3.) The palate was more mixed, with the Merlot and Syrah both really shining for me. 4.) At $10-$12, this is a crowd pleaser for a bargain price. On the nose I got smoke, meat, pepper, black cherry, and blueberry. In the mouth I found black cherry, dark fruit, herbs, blueberries, and plums. Overall the wine showed good tannins and left me smacking my lips a bit.